Four Askonas Holts artists headline in performances of La nozze di Figaro, the latest instalment in the Los Angeles Philharmonic’s da Ponte trilogy. 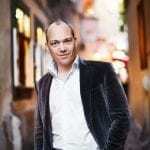 Under the baton of Gustavo Dudamel, the orchestra’s Music Director, Malin Christensson sings Susanna, Dorothea Röschmann sings Contessa Almaviva with Christopher Maltman as Il Conte and Ann Murray taking the role of Marcellina. The performances are staged by Christopher Alden on special installations designed by the architect Jean Nouvel with costumes created by the acclaimed couturier Azzedine Alaia. Swedish soprano Malin Christensson has previously sung Susanna at the Festival d’Aix-en-Provence and in Santiago di Chile and she recently made her Salzburg Festival debut as Barbarina. She has already enjoyed great success in the U.S. this season making her debut with the Houston Grand Opera as Zerlina and singing Bach’s Weihnachts-Oratorium in her debut with the Philadelphia Orchestra and Yannick Nézet-Séguin. 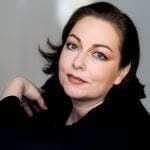 German soprano Dorothea Röschmann, one of the world’s most acclaimed Mozarteans, has already enjoyed great success as Contessa Almaviva at the Salzburg Festival, at La Scala, the Paris Opera, Covent Garden and at the Vienna State Opera. Röschmann was partnered in her performances at the Paris Opera by Christopher Maltman who has also sung the role in Vienna and Zürich. He will return to Covent Garden to sing Il Conte next season. 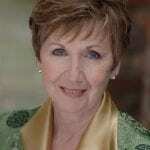 Ann Murray (a great Cherubino at Covent Garden and the Salzburg and Munich Festivals) brings all her artistry to bear as Marcellina, a role which, in recent years, she has made very much her own having given acclaimed performances at the Paris Opera, at Covent Garden, the Metropolitan Opera and at the Glyndebourne Festival. The four fully staged performances will take place in the Walt Disney Concert Hall on 17, 19, 23 and 25 May.